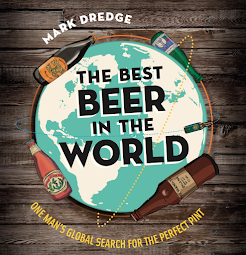 Mark Dredge - Beer: World Cup Beer Sweepstake: The Winners! Cheers to everyone who took part in the World Cup Beer Sweepstake (I know it finished ages ago but I was on holiday, wasn’t I). Over half of people who entered posted something (boo to the others) and there were some fantastic blogs of beer chasing and beer drinking. The winners were Arfur Daley and Sam Hill who were the lucky two who drew Spain. Arfur wins a year’s supply of beer from myBrewerytap with their excellent 52 Week Beer Club and Sam wins three boxes of beer, one from Adnams Brewery, one from Ales By Mail and one from Highland Brewing Company. Andy has linked to all the posts on his blog, check them out, there really is some great reading in there. Some of my favourites are Reluctant Scooper on Paraguay, Richard Marriott on Portugal, Matt Stokes on Germany and The Ormskirk Baron on Chile.